The web browser is the Achilles’ Heel of law firm security. The National Vulnerability Database operated by the National Institute of Standards and Technology lists more than 800 results for the search term “browser.” The problem with browsers is that they open a very wide door for malicious code to be executed on your computer and worm its way into your network. What if you could surf the web risk free? That is what Silo, from the company Authentic8, lets you do. The way it does it is by running the browser on its servers, not on your devices. Rather than deliver code to your computer, it delivers nothing but an encrypted display of pixels, so nothing malicious can reach you and no attacks on your system can occur. Browsing sessions are self destructing so that Authentic8 retains nothing – no cookies, history or anything else. In addition, Silo includes administrative controls that can be customized to suit a firm’s preferences and to prevent user-initiated risks such as phishing. Despite these protections, the experience of browsing the web using Silo is virtually no different than with a standard browser. Click links, watch videos, post to Facebook – it all feels just as it would in a web browser. You can use it with Microsoft Office 365 or Google Apps. About the only thing you cannot do is VoIP. Although Silo can deliver audio, it cannot transmit the microphone or camera data needed for VoIP. Authentic8 was co-founded by Scott Petry, who previously founded Postini, a secure email and messaging platform that Google acquired in 2007 for $625 million. Postini had many customers within the legal community, Petry told me during a meeting last week at ILTACON, and he wanted to come back to the legal community with Silo. Silo is in use at over 20 percent of the AmLaw 50, but is equally suited to the solo lawyer working out of the local Starbucks, he said. Silo’s most common use at law firms is not as the core application interface, but to allow employees a secure way to access their personal accounts and social media from their offices. 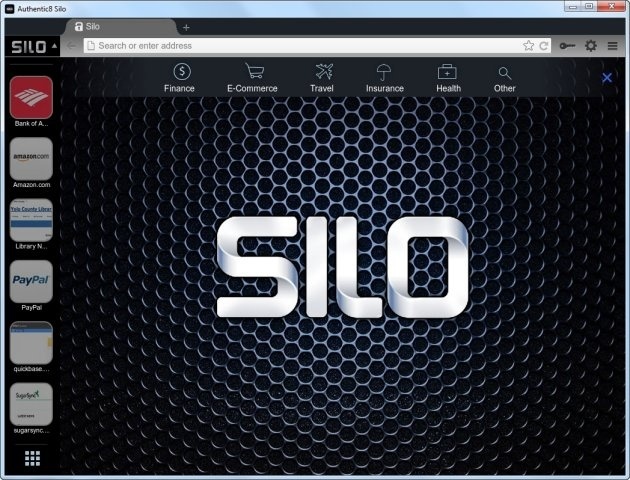 Silo offers a 30-day free trial. Individuals can subscribe for $10 a month. Silo for Teams – which includes administrative controls to better manage security and access – typically costs $150 per user per year but is available to law firms for $99 per user per year.